Michael A. Lebowitz, the author of Beyond Capital: Marx’s Political Economy of the Working Class, argues that Capital, taken alone, is one-sided, given Marx’s intention to also write a book on wage-labor. The incompleteness of Marx’s work has helped produce a left whose theory is distorted and characterized by economism and programmatic narrowness. I spoke to the comrade in Venezuela, where he currently lives. He began with a description of his personal evolution as a communist. I come from a working-class background: my father was a machinist and my mother was a book-keeper. Like many working-class people, I was determined to make money when I was young. I went off to business school — although lack of money meant I had to work during the day and attend school at night. I was studying economics with a focus on marketing research, so I ended up in an electrical manufacturing corporation doing market research full-time. As I did this, I saw lots of contradictions. On the one hand, the company that my father worked for — which was anti-union — decided to move to the US South, where they could have non-union operations. This left him basically unemployed for the rest of his life, in and out of short-term jobs. At the same time, there I was, taking economics classes at night, learning the neo-classical orthodoxy about how prices are set through perfect competition and all that. Yet during the day I was working in a corporation that was involved in price-fixing. I had access to lots of information about that basic fact as I was doing their statistics and forecasting, etc. That whole experience led me to conclude that I was being lied to. I was living in New York City at the time and attending New York University school of business in the evenings. Basically, I trailed around to every left group. I didn’t associate with any of them, but I came to a general identification with the left. I began to read Marx. I was not yet an activist, however: it was a purely intellectual rejection of the fact that I was being told lies about the way the world worked. In 1960, I went off to graduate school in Wisconsin. I decided to work in the areas of economic institutions and history rather than pure theory, precisely in order to try to better understand what was wrong with the theory. At the same time, I became an activist in socialist politics — there was a non-sectarian socialist club functioning at the University of Wisconsin. Also, I worked in support of the Cuban revolution in the campaign, Fair Play for Cuba. I became involved in a journal — Studies on the Left — which was modeled on the New Left Review. I was at the founding Port Huron convention of Students for a Democratic Society, where I was one of the people involved in the drafting of the economic section of the final statement. I didn’t really identify with the SDS, though; instead, I was there with the arrogance of a Marxist intellectual. I was bringing the light of truth to these poor confused liberals! In the early 60s, however, I got involved in the civil rights movement and in anti-Vietnam war agitation. Both of those campaigns were unique. With them, you could see a broadening out of the left, a whole new layer of left-thinking people emerging out of society itself. By 1965, when I left to teach economics in Canada, I was identifying myself as an SDS activist. I was no longer the aloof Marxist intellectual. I had been consciously trying to build a student movement, but I was not aligned to any traditional left group or current. I felt a lot of them were pretty silly and sectarian. There were points where I was drawn more or less into the orbit of the Communist Party, but most of the people working alongside me on Studies on the Left were young people who had been in and rejected the CP. That was my key political reference point, I suppose. In Canada, I became active in the social democratic party — the New Democratic Party — for years, as a constant part of the left faction. I was the policy chairman during its period of government in British Columbia, constantly pushing for policies that would lead people to understand the role of their struggles. Thus, I didn’t just say, “Let’s nationalize the forest industry.” I fought for the books of the forest industry to be opened to the government and to working class scrutiny, for forms of workers’ control within industry. In other words, modes of struggle that I saw would allow people to develop a greater understanding of how the society worked and to make further demands, rather than simply shouting the slogan, “Nationalize everything under workers’ control,” at them. Initially, work in the New Democratic Party was an interesting experience because that was where the working class was. But essentially, the thing was just another electoral machine rather than a means of self-liberation of the working class. And somewhere along the way you came to the conclusion that not only was much of the left “silly” in its practice, but also one-sided in its understanding of Marxism itself. How did that come about? I didn’t think there was anything missing for a long time. I looked at Marx, and his theory concerned the analysis of capitalism and an understanding of the nature of capital. Fine. Then, on the other hand, there was political activity, and in that I had an entirely different perspective. From my experience of working with student movements and other campaigns, I saw the basic truth that people transform themselves through their struggles. That idea became the central concern of my political world view — how do you put people into motion; how do you develop their capacity to self-transform? In Vancouver, I was very involved in local community organizing. When you bring people together and encourage them to make the political connections, when they start to picket and adopt other forms of struggle, you see how they change. So what I had was a completely compartmentalized conception of politics. Here is economics, science, the analysis of Capital; here, on the other hand, is politics. If there was any literature in politics that I was drawn to, it was to Gramsci with his emphasis on struggle for ideological hegemony and the need to create a new common sense. I would agree entirely. The only thing I would worry about is a tendency to view it not as a class in itself. I think it is incorrect to view it as a class only when it is a class for itself, when it is in conscious struggle. What is critical, though, is the process through which it develops into that class for itself. It took a long time before I could link the science and the politics in my own head. In the 1970s, I read the Grundrisse and Hegel, and was increasingly drawn to the notion that there was a missing side in Capital and that the book on wage-labor needed to be written. But it took me a long time to see the full significance of that gap. I talked about it for years and little aspects of the picture kept falling into place. I came to the conclusion eventually that this is an absolutely critical aspect of Marx. What Marx was talking about in Capital was not the whole of capitalism: it is simply a study of the nature of capital as it operates in a capitalist system — the side of capital. Yet this is only one aspect of capitalism. So, in this respect, some of the people I have the strongest problems with are the academic Marxists. They simply seem to believe that “Capital is truth,” it is the first and last word, and anything that is not in Capital doesn’t really count. They make themselves into “the guardians of the book” rather than open, critical thinkers. What I say is missing is that whole side of Marx which recognizes the concept of revolutionary practice, that through their struggles people transform both their circumstances and themselves. Coming to understand that concept — which I had read about for years, but never really grasped properly — allowed me to end that compartmentalisation. That categorical division — here’s economics; here’s politics — is fundamentally flawed. Again, Ellen Meiskins Wood — in her Democracy against Capitalism — observes that it is the nature of capitalism itself that produces this. Capitalism not only apparently separates economics from politics: it also separates economic militancy from political consciousness. Class conflict under capitalism spontaneously finds its first expression at the point of production, in the workplace, and the relationship between employee and employer. In some ways, the left spontaneously replicates this dichotomy in its political practice. We therefore place a great deal of emphasis on the struggle for democracy. . . . Your point here is absolutely correct. What people who describe themselves as “Marxists” tend to do is look at capital, then at the opposite of capital — which is the working class. But they understand our class only as the “other” in relation to capital, only as its opposite. They only regard the working class in so far as it relates specifically to capital — that is, when it is hired by capital, is put to work by capital, and constitutes a market for the goods that capital sells. This is exactly what Marx rejected in 1844! The economists, he said, look at the worker only in so far as s/he is a worker, and not as a human being, a historical subject. This is the central problem: the need to focus on the many-sidedness of the working class. We have to attempt to understand all its aspects under capitalism. When you do that, you don’t focus simply on the struggles of trade unionism. You look at all the needs and struggles of the workers, all the ways in which they attempt to satisfy their needs as humans in this inhuman society. Basically, I am saying that what characterizes much of left activity is economism. Lenin‘s critique is relevant here: his struggle to defeat the tendency to view the class struggle only in terms of economic struggle. In so far as these tiny groups on the left do engage in democratic struggles, it is often purely instrumental — it is with a view to recruiting new members, new cadres. The “Marxists” don’t have a genuinely Marxist approach to these struggles. I think the way you pose the question of democracy is therefore wrong. You have to start with Marx’s conception of human development and human capacity as the centre of the alternate society that must be built. Plus, you have to recognize that he saw only one way of moving towards that — through the process of practice, through revolutionary struggles, through people transforming themselves through their activity. If you start from that as your basic insight, then you recognize that the question of democracy, as usually phrased, is incorrect. Democracy is not a form: democracy is a practice. It is not a way of making decisions: it is a way of people developing in struggle and emerging as a class for itself through a process of self-transformation. With that understanding of democracy as practice, you see that it is through their activities that people develop their self-confidence, self-worth, and dignity. This is exactly the sort of thing that is happening here in Venezuela at the moment. There are many contradictions and problems, but the thing that is exciting is that the people are asserting themselves from below, starting to articulate their own independent demands, developing a new sense of themselves. They are doing that in the context of a constitution that stresses the development of human potential and that this is only possible through participation and protagonistic activity. So the constitution which puts this forward as a goal functions in a dialectic with masses of people who are trying to follow through the logic of their own struggles. Chávez encourages these movements but, as they develop, the pressures on Chávez from below grow, too. I see some of the things that are happening in Venezuela as exciting because I think the stress on the development of human capacity — and on this only being possible from below, through mass struggle — is absolutely critical. There are many contradictions, but this is key. But what about the question of organization? What you say about the importance of mass self-transformation, the role of the subject in history, must surely have implications for the type of political organizations we create, as well as for their programs? I think that if you see our struggle as a battle of ideas — which is the term that the Cubans use all the time — then it does not take place only in one sphere, only at one level. You have to challenge the dominant ideas and culture in every area. In doing that, there is a complementary process. If you make gains in one area, people — the human subjects at the very core of the project — will take the lessons they have learned there and apply them in other aspects of their lives. You therefore can’t segment and say there is only one area of struggle that is important — the wage struggle, the struggle around the length of the working day, or whatever. So, let’s take political organizations like the old German social democracy, or — from my own experience — those described to me by old socialists from the west coast of Canada. These had a breadth that many sects lack today. They had their cultural clubs, their sporting associations — in fact, they were also part of the old Wobbly tradition. But does this lead to a particular notion of the form of organization that is required? I’m not so certain. I replied that, in my conception, the vanguard organization has to create the space where masses of people can self-develop. In other words, if your focus is on the development of militants, on the self-development of people with a very different conception of themselves and their role in contemporary society, that theory must inform every part of your organization. So how you engage in your internal struggles, your internal forms of organization — that is less relevant to me than the question of whether your activity is allowing people to develop. In that, I always come back to Rosa Luxemburg‘s comment that the mistakes made by a truly working-class movement are infinitely more fruitful than all the decisions made by an infallible central committee! That was Marx’s idea. The class engages in struggles, often may lose, but it criticizes itself and learns lessons for the next time. Do you see an international revival of interest in the ideas of the genuine Marx? A reviewer of the first edition of your book wrote that it appeared at the worst possible time — 1992. 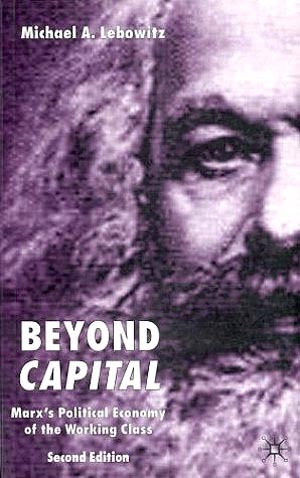 You suggest that Beyond Capital should be understood as a challenge to the retreat from Marx evidenced on the left. Are you more optimistic now? Any revival of the interest in Marx is not a uniform phenomenon. I think it is directly related to the revival of struggles. There is, for example, a growing interest in Marx here in Venezuela. I’m sure there is also a growing interest in the man in other parts of Latin America where the struggles are emerging and people are coming alive. Certainly, I don’t see the same thing in north America and I’m sure you don’t see it in the UK! But that’s because the struggles are not in those places. What I hope Beyond Capital will contribute is its stress on the absolutely vital need to go back to Marx and attempt to recover him as a thinker. We need to fully understand that Marxism did not come to an end with the writing of Capital. We have to complete Marx’s work, a process that begins both with what he wrote and also with what he left unfinished. So I suppose one of my hopes for the book is to help people avoid the necessity of having to struggle, as I did, through the Grundrisse or Hegel! Or, more seriously, to provide a new way of approaching Marx for people newly emerging into struggle. When people begin to fight and become more conscious of the problematic logic of capital and start looking for genuine alternatives, they should not go back to the old versions of “Marxism.” They have to return to what was Marx’s genuine vision, his true conception of liberation. They have to try to complete Marx’s work. I hope I have emphasized that this is not some dry, academic exercise. The ultimate completion of Marx’s work is to build a communist future. I hope my book can play a worthwhile role in that. 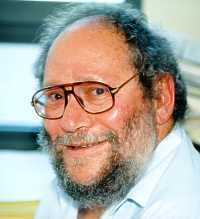 Mark Fischer is the national organizer of the Communist Party of Great Britain. This interview complements CPGB London Communist Forum’s collective study of Beyond Capital. It originally appeared in Weekly Worker 608 (19 January 2006). It is reproduced here with the author and editor’s permission.